Top 10 Best Selling Indian Novels Of All Time! Top 10 Best Selling Must Read Indian Novels Of All Time! Roy’s Magnum Opus won the Booker Prize award in 1997 and till date stands as one of the most celebrated Indian novels on both the national and international literary platforms. The story is set in Kerala and revolves around the lives of two children Rahel and Esthepa and how they weave and imagine their childhood experiences while constantly trying to cope up with their highly dysfunctional family. It narrates a poignant tale about love, betrayal and kinship ties. Roy’s political propensities too are vividly fleshed out through this text as the novel deals with questions of caste, class and discrimination. Written in 1988 by the Padma Shree Award winning Indian writer Amitav Ghosh, Shadow Lines is an invigorating story about the borders that mark and limit our imaginations and memories. The story essentially revolves around the narrator who is trying to consistently juggle through memories and events from past and present in hopes of finding closures and answers to his life. Written in a non-linear manner, there are consistent references to major historical events such as the Swadeshi movement, the Second World War, the Partition of India and the Communal riots of the 60s in Dhaka and Kolkata. As you can expect, this book won the Sahitya Akademi Award in 1989. Fasting, Feasting was shortlisted for the Booker Prize award in 1999. 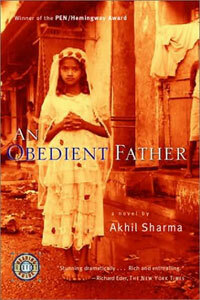 It is a story which reveals the deeply entrenched patriarchal family system of India. Set in a small town, it narrates the life of Uma, a grey haired spinster who feels smothered and imprisoned by her parents. The novel seeks to show how daughters in Indian families are always burdened with many responsibilities and eventually are forced to sacrifice their own aspirations and dreams in this process. It is an endearing novel which seeks to open a conversation between family values, cultural norms and individual aspirations. Published in 1993, A Suitable Boy went on to win the Commonwealth Writer’s Prize Award the following year. A thick heavy bound book with around one thousand four hundred pages, it is one of the longest Indian novels ever to be published. The story is about a mother who is in search of a suitable boy for her daughter’s marriage. Set in post-independence India, the novel constantly engages with the events and the anxieties which shaped the nation building processes immediately after the independence and the partition. It is an engaging epic about romance, love, politics and families. Be ready to read this familial saga over a few months! This historical novel narrates the events that marked the partition of India in 1947. It revolves around the people of a village which geographically lies on the border of India and Pakistan. Through his character development and storytelling skills, Singh implores the readers to incorporate a more humanitarian world view. It is a haunting narrative about conflict, war and violence and seeks to formulate a social understanding of such communal situations without taking any sides or making any sensational political commentary. This novel, set in the Bombay of the 1970s and ’80s, looks at two families whose fortunes are connected by music (he himself is a talented musician). 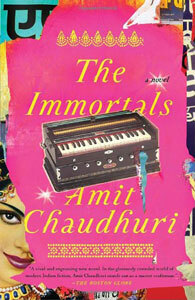 The author, Amit Chaudhary himself being a talented musician brings much authenticity to it. The main protagonist Shyam Lal, the son of a singer, teaches music to support his family. His student Mallika Sengupta’s musical ambitions are dulled by luxury. Her son, Nirmalya, is captivated by philosophy and incredulous of Shyamji’s material pursuits. This is about music in a modern world. This is must read for musically inclined. This novel released in year 2000 is written by US based Akhil Sharma. The story revolves around Ram Karan a corrupt official, who sexually abused his daughter when she was younger. Now, his recently widowed daughter and eight-year-old granddaughter are forced to move in with him. This is a book about the consequences. 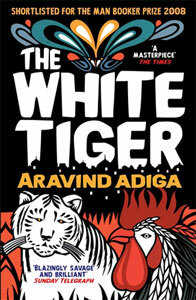 This novel released in year 2008 was debut novel and won the prestigious Booker prize for fiction. The protagonist of the story, Balram Halwai, narrates his life to the Chinese Premier Wen Jiabao: how the son of a rickshaw puller works as a chauffeur in Delhi and then flees to Bangalore after killing his employer, stealing his money and becoming a successful businessman. A fascinating fictional story that is fast paced as well as gripping. 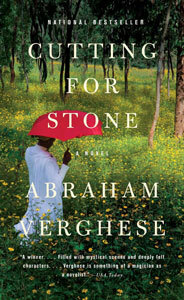 Indian novels, as this list suggests, offer a wide and an extensive array of options. Along with the powerful political and cultural engagement, these novels ensure a riveting experience to readers. "Top 10 Best Selling Must Read Indian Novels Of All Time! ", 5 out of 5 based on 3 ratings. Google Launches Accelerated Mobile Page Project To Speed Up the Mobile Web! The title should be top selling English language novels written by Indian authors. The Indian language authors, just like the Indian language newspapers , easily outstrip the Indian English language authors in sales and quality. You should atleast write about the best-selling books written in your mother-tongue. What a sorry state of affairs Indian people have reached with regard to their languages . yes , i am also chetan bagat fan , his books are corelated with our real life incidents. Nice. But mostly i love to read Chetan Bhagat’s Novels and now Excited for The Indian Girl novel written by also Chetan Bhagat. I am in class 11 and now am writing a novel on a girl who started struggling from his village to the city (Delhi) and how she faces challenges in D.U and from his dream to became an civil aspirant…. But at last she committed suicide and leave some people behind her..
Hi there people I am hoping you can help me name a book written by an Indian author (fairly sure), which I picked up nearly 15 years ago, started to read, loved the opening chapter or so enormously, and gave away to a friend. It involved a monkey or ape that spoke I believe. Quite powerful, the main protagonist maybe. It was entrancing and I can’t for the life of me understand why I gave it away then, nor who wrote it. I don’t remember much more, perhaps a young man who relates to the monkey. It is a mission of mine to recall the name of the book and finish the quest of it’s read. All the novels listed here are simply great, but obviously many others should have been here, and I am not talking about Chetan Bhagat. He might have written commercial, best-selling novels, but he’s nowhere close to these kind of writers. But there are good novels like In Custody, All about H Hatter, The Trotternama, The inheritance of loss, River of fire, The Guide, The room on the roof, Midnight’s children, to name a few. I have written few stories and wanted to be a writer.I have gathered a good number of fan following in my office . can somebody help me how to go ahead with the same please? Dear Ayesha…you see..that’s exactly the problem with all you chetan bhagat fans…you all write that’s as dats!!! In this so called cool lingo our future generation is neither pro Hindi noe pro English. This is the worst part of reading the wrong stuff. I hope you will consider seriously what I am trying to convey. Just publish your work at Google Play, Google Books, Amazon(Kindle Direct Publishing) and Smashwords. Then try to generate good reviews about your work from trusted authors or reviewers. It’s all out there you just need to be focussed. Don’t lose heart. I’m Rishi , I am 17 years old and I want to be a writer. I’m working on my life’s first book but there is a problem during writing my book because of my age , everyone embarrassed me and make funs on me …. Because me carrier path is different from them . Is writing book at this age is good for me or not , I asked this question to me Manny times but I doesn’t get the answer . Pls suggest me ,is it good or not ?? I am waiting pls suggest. 1 – As it is very unlikely that the very first product of yours would be good enough. When you will get your article or book proofread, you will discover many a mistakes as a writer which you should not do. Over a period of time while working upon upon mistakes, you will be able to get over and improve. 2 – What I believe is that initially you will pick some random genre eg: Fiction, Philosophy, Self Help Help, Management etc. on which you will choose to write. This is possible that you might get bored of the one that you started with and would want to pickup another one. This will help you in determining your own genre or genres which you would want to pursue as a professional writer. Sooner you come to know about your interests, better it would be for you because once you pick up your genre or genres you would start researching on that subject so as to support your further development in your writings. If there is anything you further want to know about writing, you can contact me at [email protected]. Nice List. I wish Kiran Desai’s “Inheritance of Loss” was there. After going through the comments, I found out that Chetan Bhagat has a massive rooting. No surprises there. I don’t blame you. Around 2 years ago I was firmly placed in his support brigade ( I still love him) . However it did not take me long to realize that there are scores of other books. As per the blind belief that he is the best author, a person who has eaten gol gappas every weekend, will say it is the best dish in the world. Let me put it straight, Chetan Bhagat’s books are pure entertainers. And frankly they do their job excellently. Let me suggest a sequence for you all. CB’s books are a good introduction to fiction. The next book you buy should not be Durjoy duty or Ravinder Singh. They are a step in the backward direction. Next go for the likes of Amish Tripathi and Ashwin Sanghi. They represent a slightly higher level in terms of writing and plot. Foreign authors of young adult such as John Green are in this section. Next go for Jhumpa Lahiri, Salman Dan Brown, Sidney Sheldon and the likes. And finally divulge into the above list. What counts in the end is the trend. Even dictionaries of English language incorporate the latest words and lingo and update their word data base to keep up with the latest communicative words. That’s the reason English is so flexible and in -demand. It has had numerous ‘avatars’. After all what matters is how a human being communicates with another. If it is ‘Hinglish’ , be it so. This is what Chetan has captured and gets a wide readership .. And that’s what matters. omg! so many commnets for chetan bhagat’s novels. I still like his novels and no matters for the grammatical mistakes. There’s a thing called classic, which is exactly what the above mentioned books are, Chetan writes movies, which sell, good for him, bad for the future of our generation. People feel like they are now one of the ‘cool’ people like us readers by just reading his books. Get a life! His books are good for entertainment, light reading, and one should read his work once in a while, but I would rather go watch a masaledar Bollywood movie instead. Novels should broaden your horizon of imagination, it should inspire you, give you something to think about, ‘and’ entertain you. Revolution 2020 was somewhat near to these areas of my expectations and I wouldn’t mind reading it twice, but Half-girlfriend was a thumbs down. Now for those who would respond to my comment with statements like ‘at least he is published’ or ‘who are you to say things like this’ etc., I am a reader. I know I am not a good writer and that is why I am not published nor do I have any wish to be. But as a reader I know what I like and the above listed books provide that. Lastly, I am not a Chetan Bhagat hater and I am actually grateful to him for making more people read. I just wish people would acknowledge the fact that there is better literature provided by other India authors. Do take the time out to appreciate them. Yes Mitali you are right. I abslolutely agree that novels of chetan bhagat are generally written as movie story at the same time masority of the readers do prefer to have some entertainmaint rather than gaining knowledge. In that scenario Chetan is best in his domain else for readers who wanaa gain something with enertainment Half girlfriend deserves 0 out of 5 stars. So conclusion is we should not judge anthing by content but also it depends on readers choice. I like the way u responded……but I somewhere did’nt like ur response……..there are several writers better than c.b but that doesn’t mean you will ask him to write like the others only because they are better than him……..and if you have ever read his books analyse them carefully from the next time they are always wid a strong social issue……have uuh gone through his “what young india wants”…..plzz read it and plzz don’t tag him as a “time pass”writers doesn’t write articles for newspapers. Karachi Deception is spy thriller book. It should also be in this list. I was never a fan of ficticious books or movies, but now I’m dieing to read 1. A fan of Fiction, who have read enough FICTICIOUS BOOKS….please help me I’m tired of reading reviews!!!!!! i love all the novels which are shown in the above list.all authors have put their own ideas and thoughts with their knowledge. they have written in simple english that can be unsderstood very easily. liking of novel depends on their own taste and preferences in which they have interest like love,suspense and etc.because every human bieng is diffrent and taste and preference differs from place to place and person to person and time time. thats all i wanted to say . Well,a great list of the Indian novel.. But I think you must add 2 states novel by Chetan bhagat,one of the most reading novel by youngsters. Yes. You are correct. His 2 states is not a thing that deserve to be in the above list or anywhere near. Chetan was lucky enough to become a best seller. Thats all. The only feel good novel from him, IMO, is five point someone. Shri Gurudeb Robindronath Thakur is the best !!! God of small things is a best book to realise the mistakes of those who spoil many people’s peace in society. this thread is misleading. Where is chetan bhagat. thy book competed with his previous one to be best seller. chetan is best ever known writer in india. He has so much love from his readers that any other writer cannot even imagine it. Novels are always to grow our thoughts..there is no best seller kind of awards needed…. World has uncounted population so awards are judged based on few of them. Basically we must read as per our own perception…what we feel at resp. time. I am surprised that A FINE BALANCE by Rohinton Mistry is not on that list….one of the most engaging books I have ever read. And Yes, the Twentieth Wife and A Feast of Roses by Indu Sundaresan is in that same league. Agree… Rohinton Mistry deserves a place in here. May be these are best sellers based on volume. The translated work of bisha briksh (The poison Tree) by Bankim Chandra Chatterjee deserves some recognition. Thank you for suggesting the name “A FINE BALANCE”, I will sure read.. The Quest of the Sparrows is a great and meaningful book. I found it one of the best books I have read. It answered to many of my questions of life through an interesting story that touches the heart. It’s a must read for youth in these turbulent times of unrest. all these novels listed above deserves to be listed as best selling. frnds,iam also a teenager of 20 and my best suggstion of reading book of chetan bhagat it,s really awesomw and superb…..just go a head once…..must buy the "
"three mistakes of my life"
revolution 20 20 was,is and wl be the bst one ever !! Mr. Balaji, there is a difference between writing for the masses and writing for serious readers. not every writer writes to make money. you’d be surprised to find out how many do it simply for the love of writing. the mass writing will be popular for its times, but true literature transcends generations. i have read all of the above books and i would say that they are truly unforgettable because they resonate deeply…that is for those who are willing to take the plunge and get past the seeming slowness of it. if you want to be entertained, watch a movie or pick up one of the pulp fiction writers, but if you want to be changed, read real true-to-life literature! must read god of small things.its the best Indian novel with great standards.there isn’t an Indian book good enough to overcome such standards till date. I too had a love story is a normal novel. please don’t compare it with such classic books. The title is misleading …. these cant be topselling novels … they may be close to reality or any other justification you give in their favour when it come to sale …In India Salman Khan and Akshay Kumar sales ….. In India Chetan Bhagat sales …. If you believe the published figured Revolution 2020 sold more than 7 lakh copies …. I doubt even 7 lakh people put together would have read the novels mentioned here. Seven lakh dont ve to read these books Mr. Amit, a useful few would be enough! Literature is not for the money or even the money you earn, its about the love of writing and going on to do it. As far as I’m concerned, Ravinder Singh and Chetan Bhagat will go in lists of worst Indian writers. suitable boy is a good novel…. trian to pakistan was good. Nice! It shows Indians got nice taste for its literature..
What's the point of winning awards. Has anyone seriously read any of the above mentioned books.It is the most boring pieces of literature ever written. Being an Indian I could easily relate to a Sydney Sheldon, Michael Crichton, Stephen King or a John Grisham novel than any of the above. There is a stye in which a novel has to be written, all of them are social documentaries none of them enthralling. If you need to sell books you need to make it entertaining and interesting as most of the best selling novelists do. Most of the Indian writers only do a sobering style of writing which hardly catches the eyes of Indians , only award jurists. That's the reason why Jeffrey Archer sells more books in India than any of the Indian novelists.This is similar to Indian Cinema. I understand that Satyajit Ray has won awards but has it really captured the hearts and minds of Indians like Commercial Indian cinema. Most of the best selling novels in the world are"commercial" style(remember the Twilight saga).We all love novels which is enthralling and compelling splintered with emotions and a social message as well. Hopefully Indian writers can rise to the challenge otherwise they all would just have to look at below 10% market share of the "lucrative" English literature market in India. You are comparing Apple to Oranges… I agree… I like the authors mentioned by you as well… But this is about the Indian top selling novels…and that what we have listed here..
People like you make me sink into a deep depression.Yes, Sidney Sheldon and John Grisham are popular writers but at the end of the day they just provide entertainment.The same kind of entertainment you get when shooting up aliens in Halo.These novels may be “boring” to you but they make us think long after we finish them.While John Grisham gives us of that rugged hotshot defense lawyer who smooth-talks his way out of anything ,these novels give us real people,people who make us think about India and the world,people who are often neglected in Indian pop culture.Also Satyajit Ray and popular Indian Cinema? He must be rolling in his grave right now! Ray gave us films like the Apu Trilogy where Apu’s acceptence of his son is one of the most beautiful scenes ever.I guess you like films where Salman Khan rips off his shirt , punches a guy in a copied scene from “the Matrix” while cartoonish music plays in the background. I seriously cry when I think of what the once great Indian civilization has become.People like you should think about this and broaden your minds.I beg of you. normal situations, things which we encounter…things & situations which are ours….and if we don’t support Indian Writings who else will???? Dats ridiculous!!! Naming best Indian novls nd 4gttng CHETAN BHAGAT??? Plzzzzzzz considr all his novls…dey r ammmmazing….. nd i bet u ll luv them all…d way i do bcoz Mr. CB is d best!! I too agree ayesha.watever chetan sir has written really corelates with d present..